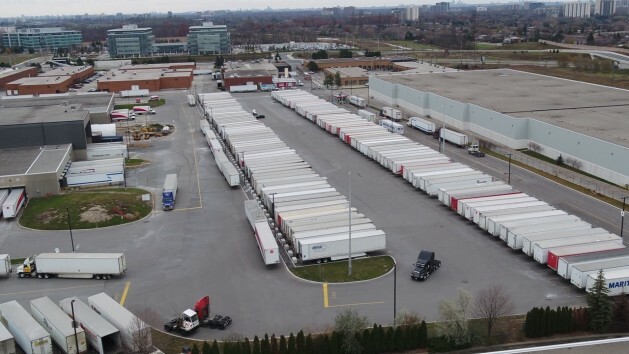 Each of these strike-stranded trailers at Canada Post’s Gateway plant in Mississauga, Ont., includes 2,500 parcels and packages. OTTAWA, Ont. – Parcels will soon be back on the move at Canada Post, with federal Liberals tabling back-to-work legislation to end rotating strikes that have reportedly stranded hundreds of trailers. The strikes are now in their fifth week. Millions of additional parcels are set to enter the system during tomorrow’s Black Friday and next week’s Cyber Monday online sales. Canada Post had already informed commercial customers that they couldn’t meet delivery commitments because of the strikes. The worst delays for mail and parcels are expected to involve items moving through southern and southwestern Ontario. The Canadian Union of Postal Workers (CUPW) argues that Canada Post exaggerated the backlog, and says the 70 trailers that have been parked in Toronto could be cleared in a few days. “We’re convinced that Canada Post manufactured a crisis just to get the government to intervene. If so, that’s a huge concern, and it will further poison our work environment and labour relations for years and years to come,” said Mike Palecek, CUPW national president. The strikes have been raising concerns about issues like a rising workload for carriers. “We cannot go back to work at the busiest time of the year without fixing the issues that keep us injured and overworked,” Palecek said earlier in the month. As of Thursday morning, strikes had moved to Pickering, Dryden, Elliot Lake and Blind River, Ont., while continuing in Acton, Georgetown, Tillsonburg, an Ajax delivery facility, and the Bolton post office. Strikes also continue in Calgary, and in Kamloops, B.C. Canada postal should be dismantled and given to open bid on private enterprises and no union what so ever perhaps people would have a more sane work ethic.